Are you ready to install an asphalt or metal roof on your building? Do you need a professional contractor to build a custom barn? Hire the contracting experts at Barns by Design, LLC. We provide premium roofing, home addition and pole barn installation services for residential and commercial clients in the Casper, Wyoming area. There’s nothing the Barns by Design team can’t do! Using our superior craftsmanship, we’ll work with any vision – no matter how big or small. 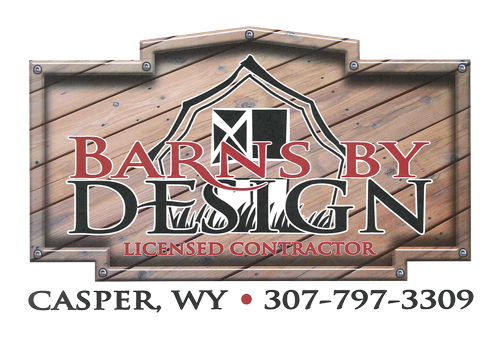 Call 307-797-3309 to schedule a consultation with Barns by Design. We give free estimates to clients within a 60-mile radius of Casper, WY. They did a great job... the worth of every house in our area has now gone up by $20,000 to $30,000 thanks to the job they did for us. Barns by Design put a new roof on my house last summer and Chance Matula and his guys did an awesome job! Chance is very upfront, fair and communicated with me throughout the bidding and work on my house. I STRONGLY recommend them. Chance and his crew came out and did a WONDERFUL JOB on our roof, took the old one off and new one put on in only 2days. Even cleaned up after themselves. You need a roof give them a call. Copyright © 2019 Barns by Design LLC, all rights reserved.